Karen brings nearly 20 years of experience in massage therapy to the Wreck Room. 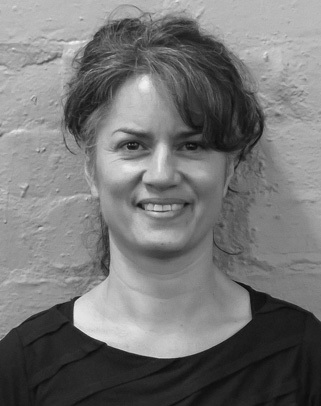 She began her career working in a physiotherapy practice in 1997, and continues to specialise in taking care of athletes and active bodies. She has been ‘support crew’ from an early age, where as a slightly uncoordinated youngster she watched her family play sport and used massage on them afterwards to get out of doing the dishes. Karen spent a number of years working with rugby teams both domestically and abroad. After completing a NZ Rugby League Strappers & Trainers course, she began working with the Auckland and Taranaki NZRL teams, the NZRL Women’s League, and later both senior and youth squads in the Australian NRL. She’s not just great for rugby players, though! Karen’s also provided massage therapy for touch, basketball, netball, cycling, and other teams. And now she’s here to help you. Karen uses massage therapy to reduce muscle soreness, tension and stress, both physically and mentally. Her goal is to make massage a beneficial and affordable part of all her clients’ wellness programmes. Book an appointment now (kdbaileynz@gmail.com) via email, or on 0272284292. You won’t regret it!